The second bedroom has one double bed, one twin bed, wall mounted TV with PS3, ceiling fan, air conditioner and blackout curtains. All you need to do is bring your games, movies and extra controller if you wish. This bedroom has it's own access to the main bathroom and city view balcony. Both bedrooms have proper fixed walls, blackout curtains and are very private. 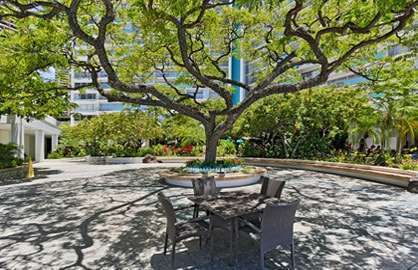 The large air conditioned living space includes a dining area and living room with access to both balconies. The living room has one queen and one twin size sofa bed along with a wall mounted TV, DVD player and Bose Wave w/Bluetooth to play your favorite music. 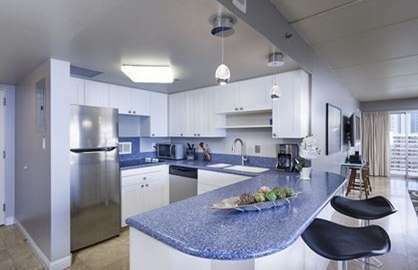 There is beautiful open kitchen with stove, dishwasher, microwave, fridge, coffee machine and grinder, toaster, crock pot, rice cooker, blender and most cooking items you might need to cook meals. Enjoy your stay and Please let us know how it was. 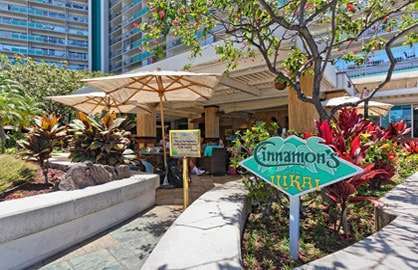 Ilikai 1509 - Enjoyed our stay in Condo 1509 and would love one day visit again. 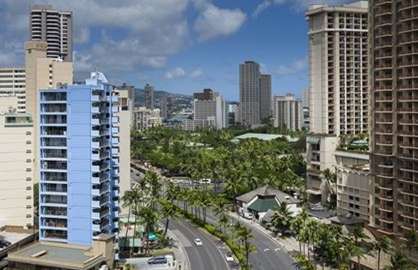 The Condo was exactly as described and perfect location to the beach and Ala Moana Mall. 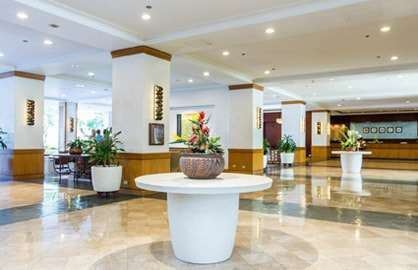 Ilikai 1509 - We really enjoyed our stay in #1509 and understand why it is booked constantly. It is spacious, bright, and well equipped - plus the views are a treat. 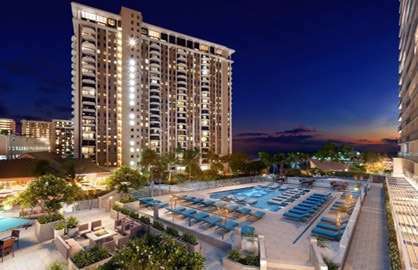 We'd watch the sun come up over the Koolaus to the East and the glow of the sunset over Ala Wai Marina in the evening. We liked the quieter pool on level 2. We needed a car this visit and were happy with the valet service. 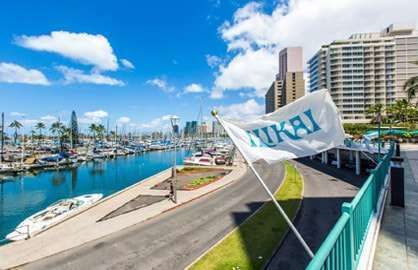 Ilikai 1509 - We stayed in this Condo 12 months ago so you can see I am very lazy. We loved the Condo and recommend it 100%. The Location was great and nice views. My wife our 6 yr old son and our Mother and father shared the Condo. 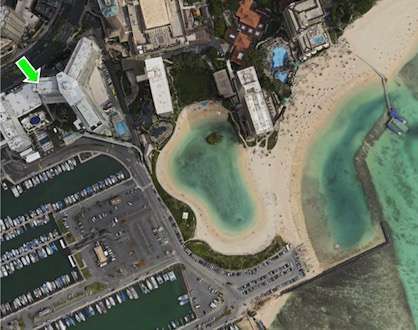 We had a hire car and had no problem parking out back of the Ilikai around the Marina and waterfront in council spots overnight. 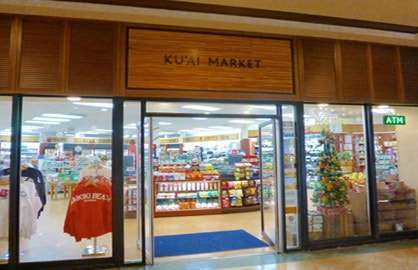 We look forward to coming back to Hawaii. 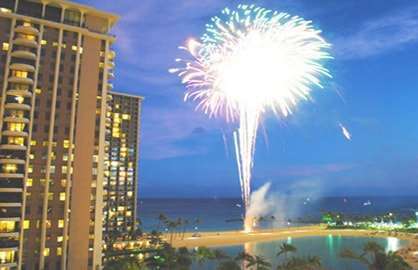 We had a great time...everything was perfect in Ilikai 1509... We were a party of 6 including my elderly parents. Would definitely come back again & stay. 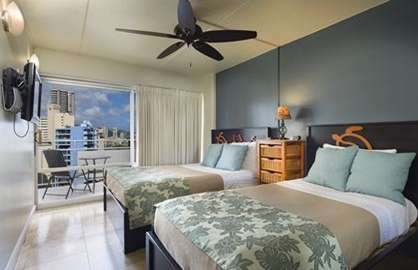 We have stayed at Ilikai 1509 on three occasions and have found this condo to be an excellent choice The condo is tastefully decorated very comfortable beds and furnishings and very clean and bright The kitchen provides all the amenities in generous supply T,V provided in each bedroom as well as the living room Free WiFi connection and use of the phone The two lanais provide spectacular views of the sunrise and sunsets Each lanai provides a patio table and chairs The Condo is well situated overlooking the Marina ,.close to the beach and a lovely lagoon ,public transport is right in front of the hotel and many restaurants within walking distance when you get tired of cooking We love this condo and will be back. 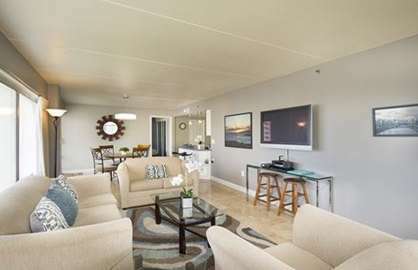 My family of 6 stayed in this 2 bedroom Ilikai 1509 condo and were very happy. It was clean, spacious and had all the amenities we required. I would book this same unit again in a heartbeat. 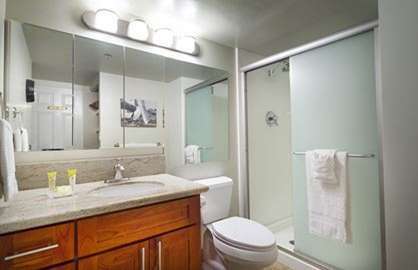 Thanks to the owners for having such a great condo and kept in immaculate condition. Thank you for letting us stay in your beautiful condominium. 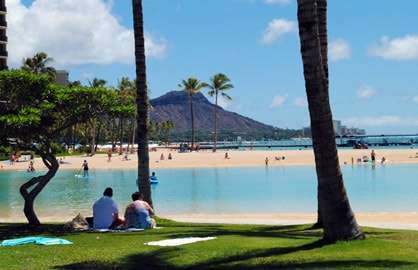 We had been travelling for more than a fortnight before arriving in Honolulu and to discover we were staying such a fantastic place was terrific. The apartment was clean and spacious and contained everything we needed. 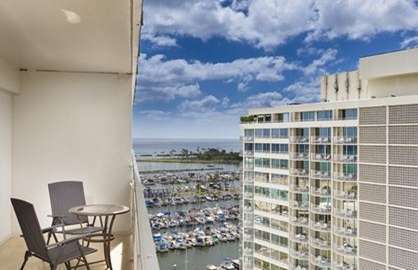 It had a great view of the city and was in easy distance of the beach and other attractions. We would love to stay there again. We have just spent a wonderful 2 weeks in Hawaii staying in this apartment. 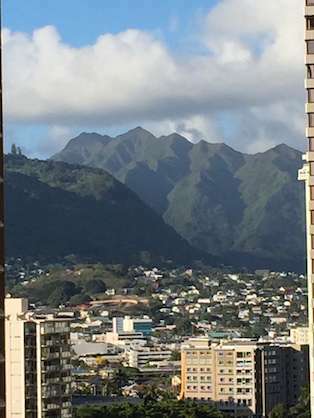 Our group had 5 apartments in the Ilikai and I have to say ours was the best and most spacious - which was wonderful on the day of our daughters wedding with bride and bridesmaid getting ready! We had family from main land USA, UK and Australia gathering in Hawaii for the wedding and we will all be back. I hope everyone who stays in the apartment has as good a time as we did. Thank you to the owner for making it so lovely and thanks to WBR for all the help and information given to us. 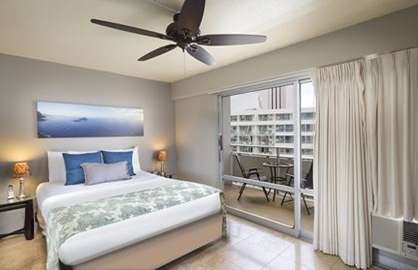 Our recent visit to Hawaii was indeed an enjoyable one and this is attributable, in part, to our home away from home accommodations. 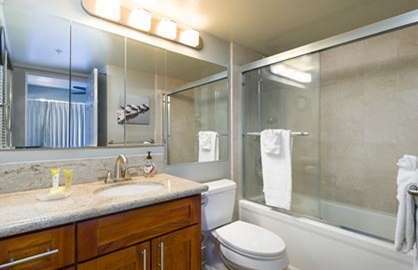 We were very pleased with your condo, it was very clean and contained all the amenities that we needed, and the price was reasonable. We also appreciated the extra time on the last day, allowing us to keep our luggage in safekeeping while we enjoyed the area for one last time before catching a late evening flight. 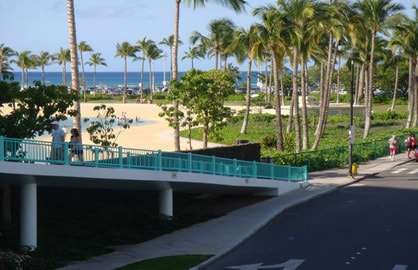 We have mentioned our accommodations on several occasions to family and friends who inquired about our trip, and without hesitation, suggested they check with us for a referral should they decide to travel to Hawaii. Our two week trip consisted of a one week cruise to four of the Islands. 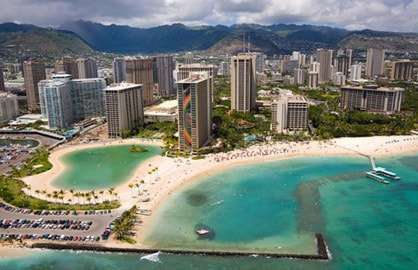 While this was enjoyable, we have told family and friends that the next trip would be done differently, whereas we would make Waikiki Oceanfront Rentals our main place of stay and plan our excursions from there. As I’m sure you’ll agree, online advertisements can be exaggerated and misleading. However, in this case, your webpage details and level of professionalism we attest is authentic, and I thank you for integrity. Looking forward to making contact again sometime within the near future. We had a fabulous time, and it wasn’t just because there were 10 of us travelling together. The condo was absolutely beautiful and we could not fault it in any way. I had to laugh as I do sincerely believe out of our group, we had the best condo! 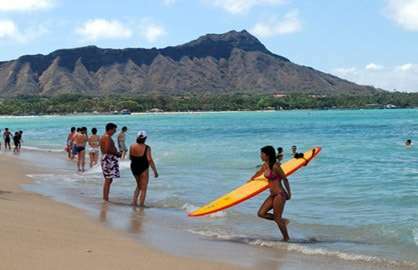 I must say Waikiki is like no other place in the world for service and beautiful people. 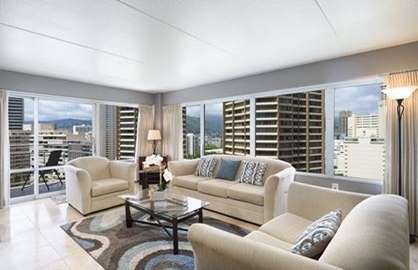 I have recommended Waikiki Oceanfront Rentals to friends already. Cannot believe how many people I have spoken to lately are going to Hawaii. We throughly enjoyed the condo. Family stayed with us and they were quite impressed with the accommendations !!! !So comfy too, the grandkids had plenty of room to move around !! Will definitely let our friends know about your condo !!! Thanks !! Looking forward to coming back !!! We had a wonderful time in Hawaii. 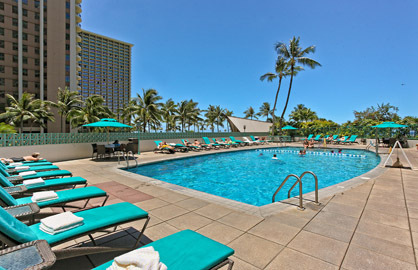 We stayed at the Ilikai, in unit 1509. This was a clean, well equipped unit with many extras that we didn't anticipate, like the beach chairs. The unit also had ample room for our family of 5 (grandma, mom, dad, and 2 children ages 9 & 12) and we enjoyed the fact that we could have relax at home for our meals. 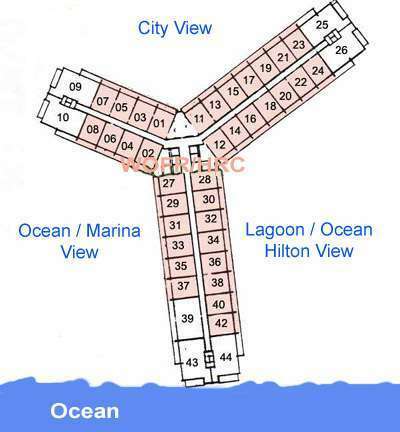 The location is great, close to the beach and within walking distance to shops and restaurants. My husband were pleasantly pleased to stay at your establishment. It was clean and organized. It exceeded our expectations. 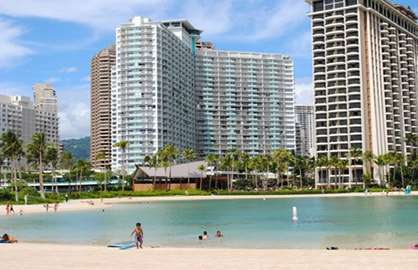 We've been to Honolulu many times before and this was the first time we actually enjoyed staying in. The kitchen had more than I could've imagined a rental would have. 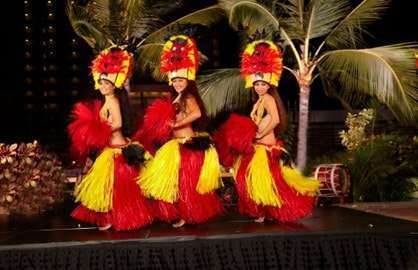 We would be definitely book with you the next time we are in Hawaii.